WILLEMSTAD - Unemployment benefits are costing the Curaçao community about 43 million guilders a year. This is according to the Minister of Labor, Social Development and Welfare, Hensley Koeiman. There are two main reasons why the costs are so high. Number one reason is the rising unemployment rate. But the second reason, according to Koeiman, is that one of his predecessors, he did not want to mention who has changed the rules about who is eligible to receive unemployment benefit. “The requirements were set aside opening the way for those who are not eligible to receive this compensation,” said the Minister. 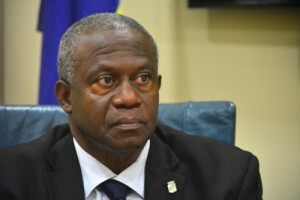 The Minister accused his predecessor of mismanagement. The strict requirements to receive unemployment benefits have been partially restored but still needs to improve, said the Minister. In cooperation with his ministry, the Government Accountants Bureau (SOAB) is trying to get a detailed picture of all those receiving this compensation and the reason why they are receiving it. In the past period, the number of beneficiaries has increased considerably.